It’s well-known among Oregonians that there’s no lack of things to see and do on the Oregon Coast. 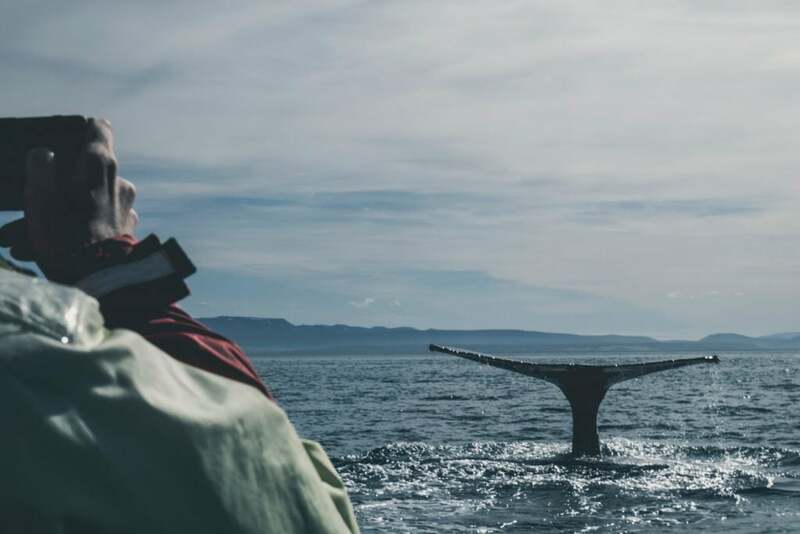 Besides hiking and camping, whale watching is one of the most popular activities in this region. Read on and find all you need to know about whale watching in Oregon. Stretching about 360 miles total from the mouth of the Columbia River in the north to the California border in the south, the Oregon Coast is one of the state’s premier tourist destinations. 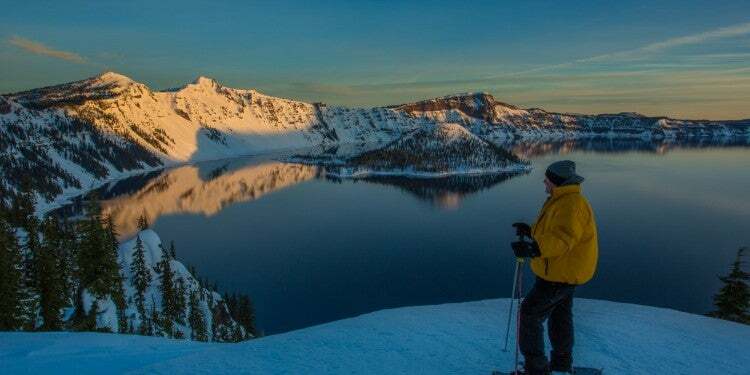 In fact, the Oregon Tourist Board has designated it one of the Seven Wonders of Oregon, along with other such great destinations as Crater Lake National Park and Mount Hood. According to the Oregon Department of Fish and Wildlife, the waters along the Oregon Coast are home to ten of the approximately 80 species of whales, porpoises and dolphins in the world. Among those are some of the most iconic and mightiest animals on Earth. Lucky visitors might spot humpback whales near the horizon. 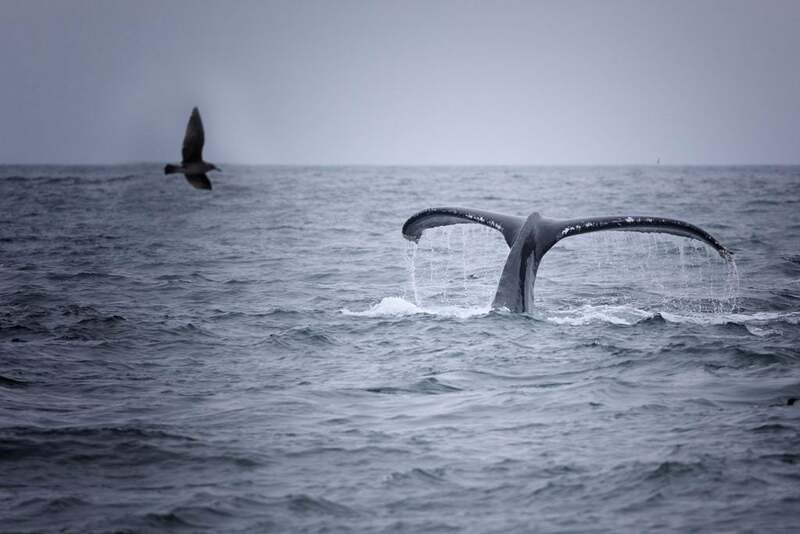 These magnificent animals usually migrate five to fifteen miles off the coast and are best seen on boat trips. If you’re even luckier, you might catch a mighty blue whale, known to favor colder waters and most often seen in pods closer to Canada. The most endangered of the great whales, these enormous mammals are the biggest animals that ever lived. A sighting is, therefore, a rare experience that you won’t soon forget. Other marine mammals that you can see while whale watching in Oregon include minke whales, harbor porpoises and even orcas. In fact, a pod of orcas (also known as killer whales) typically patrols the waters off Depoe Bay and Newport around mid-April, which is when they hunt baby gray whales. And this brings us to by far the most common of the Oregon whales—the gray whales. Growing up to 50 feet in length, this species of baleen whale is the most “coastal” whale in Oregon. When they migrate along the Oregon Coast, they’re usually no further than a few miles from the mainland. In addition to that, you can see gray whales in Oregon throughout the entire year. During the two annual gray whale migration seasons, up to 20,000 whales pass by the coast, close enough to the shore to be visible from the mainland. It’s easily one of the greatest wildlife spectacles in Oregon. Moreover, each year there are about 200 to 400 “resident” gray whales in Oregon. Falling out of the northward spring migration and sticking along the Oregon Coast in summer and fall, this group of whales offers reliable, year-round whale watching in Oregon. As such, you can spot gray whales in Oregon at any time of the year. There are two peak gray whale migration seasons to know for the best whale watching in Oregon—from March through May and from mid-December through mid-January. The spring migration season is when the gray whales migrate from their Baja California breeding lagoons to their feeding grounds in the Arctic. Pregnant females and nursing mothers with young calves are the last ones to depart, leaving only when they’re sure their children are strong enough for the journey. Those young families arrive in Oregon around mid-April, which, as mentioned above, is also when you might see orcas hunting off the Oregon Coast. A couple of hundred whales leave the group and stay just off the Oregon Coast through summer and fall. They will join the southward migration again in winter. As early as October, as the northern sea ice slowly creeps southward, the first gray whales begin migrating back south from the Arctic Sea. They start arriving in Oregon in December. The peak of the winter migration typically happens between Christmas and New Year’s Day, when about 30 whales migrate past the coast each hour. While the total number of gray whales in Oregon is the same during both migration seasons, the winter season sees a far denser concentration of the animals simply because it’s much shorter. All animals pass by Oregon in the timespan of about a month in winter. The spring migration season, on the other hand, lasts up to four months. Coincidentally and conveniently, the peak gray whale migration seasons coincide with many people’s vacation times—the winter holidays and spring break. This is why Oregon State Parks has a “Whale Watch Week” program called Whale Watch Spoken Here. During the two annual “Whale Watch Weeks” (respectively the week between Christmas and New Year’s and a week in late-March), hundreds of volunteer observers take up their positions at two dozen outlooks and vantage points all along the coast. Those two weeks consistently take place during the very peak of both gray whale migration seasons. If you want to go whale watching in Oregon, this is the time to do it. The top destination for whale watching in Oregon is Depoe Bay, effectively Oregon’s whale watching capital. 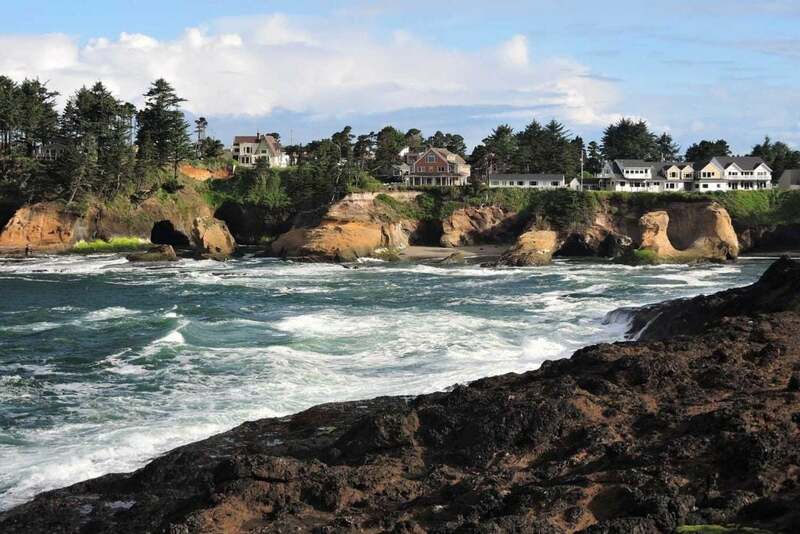 Home to the Depoe Bay Whale Watching Center and the world’s smallest navigable harbor, this coastal town is where many of the resident gray whales hang out in summer and fall, feeding on the abundance of mysid shrimp. In addition to Depoe Bay—your best bet for Oregon whale watching excursions—there are many other excellent place to see whales in Oregon, spread along the entire coast from Northern to Southern Oregon. Below is a north-to-south overview of some of the state parks’ “Whale Watch Spoken Here” locations, outlining the other best places for whale watching in Oregon. You can find the full list of best whale watching locations in Oregon on the Visit The Oregon Coast website. The best places on the Oregon Coast for a week(end) of whale watching are the coastal state parks. All campgrounds below lie either at or near a Whale Watch Week location. 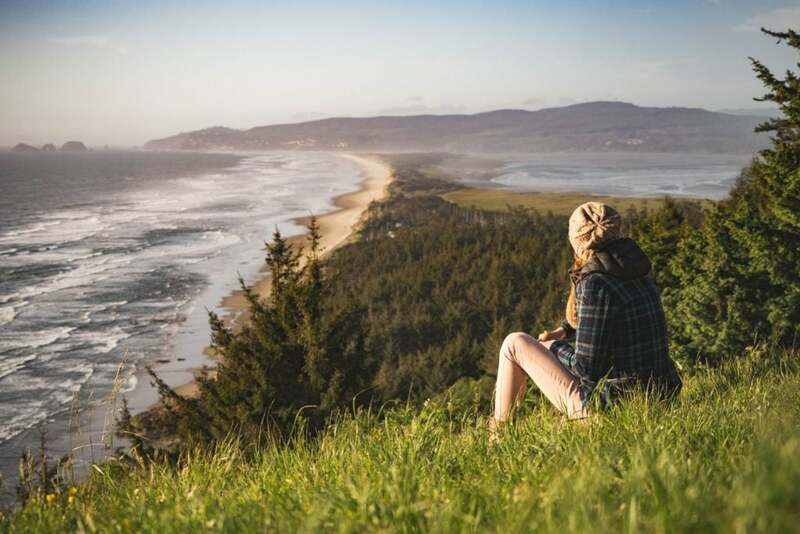 Image from The Dyrt camper Haley W.
One of the premier locations for whale watching on the Northern Oregon Coast, Cape Lookout State Park occupies a sand spit on the Pacific and offers great ocean views. 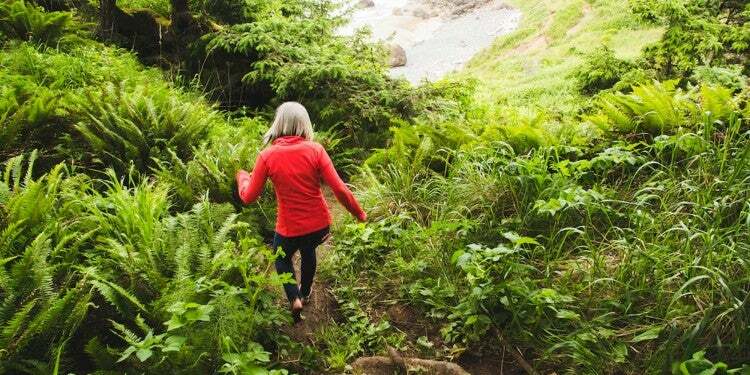 Hikers can explore more than eight miles of hiking trails nearby. Families with children, on the other hand, will enjoy the three-mile sand beach is easily accessible as well. The beach acts as a great vantage point to scour the ocean surface for spouts. 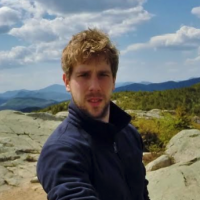 “Cape Lookout is right on the coast and has something for just about everyone. There’s an amphitheater, showers, backpacking sites, cabins, yurts, summer interpretive programs, covered group areas, a great beach and a roughly 6-mile round-trip hike that puts you 2 miles out and 400 feet over the Pacific Ocean. I stood amazed at the views and, staying quiet, noticed migrating whales. 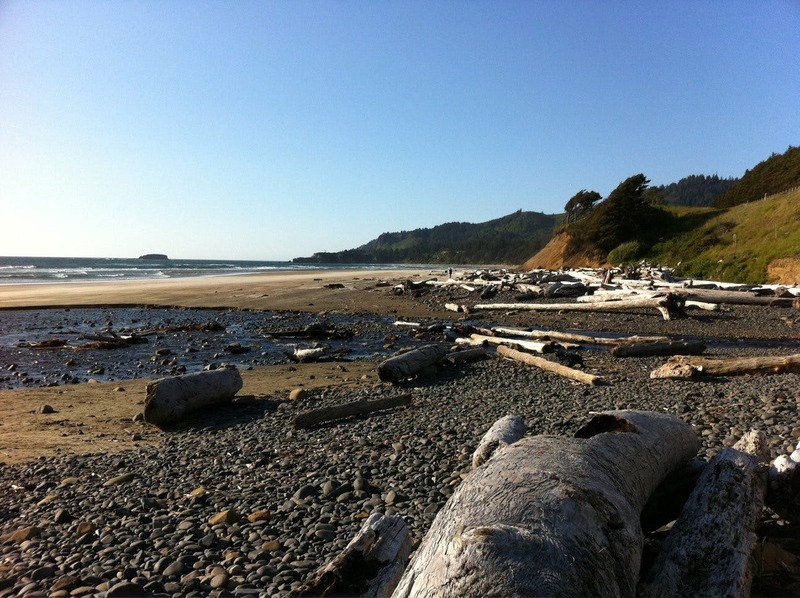 The beach is windy, wild and unpretentious.” —The Dyrt camper Bjorn S.
Image from The Dyrt camper Zannie P.
The Beverly Beach State Park Campground lies mere steps from the beach, which stretches from the Otter Rock headlands to Yaquina Head, which is a superb spot for whale watching. 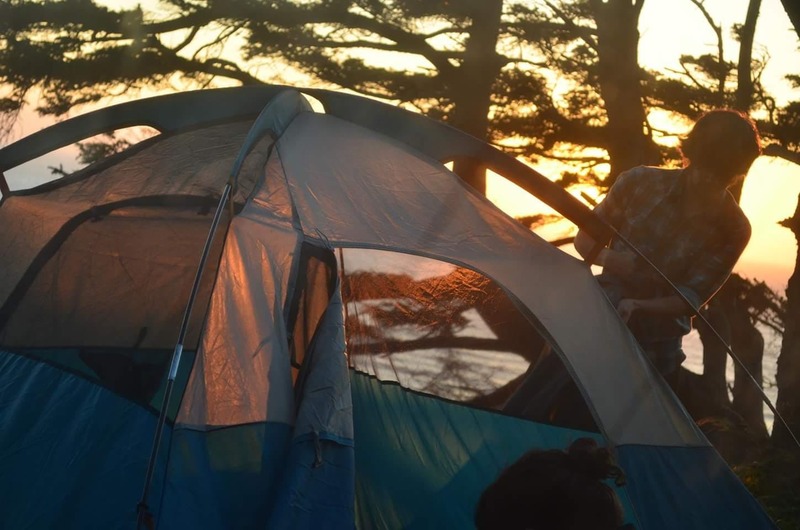 This is a large, popular and family-friendly campground with tons of sites. 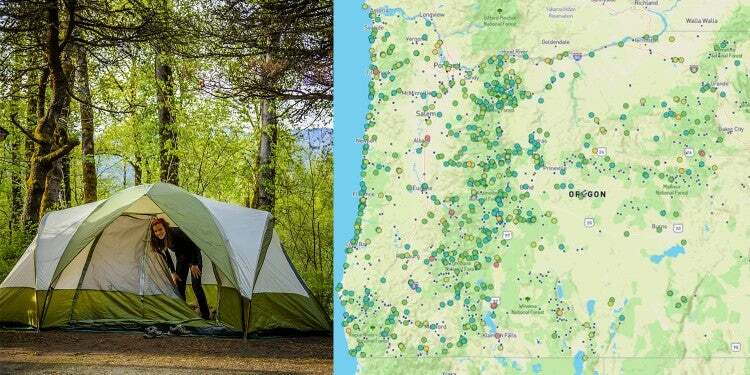 There are 128 tent sites, 76 electrical sites with water, 53 full-hook-up sites and 21 yurts. 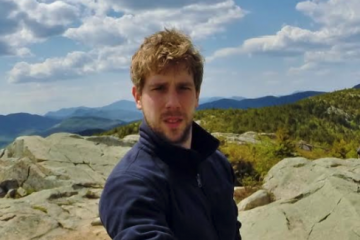 “This campground is one of our favorite State Parks! We stayed Memorial Day weekend and had a blast. Located close to the Newport Aquarium, Yaquina Head, and the Whale Watch Center in Depoe Bay there are plenty of things to do and see! The beach access was very nice and easy to navigate with small kids (no dune climbing here).” —The Dyrt camper Kelli B. 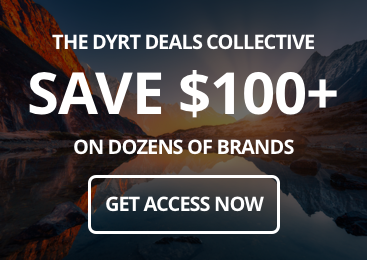 Image from The Dyrt camper Meghan O. With great coastal hiking, cycling, horseback riding and kayaking, Cape Blanco State Park is the Oregon coast’s outdoor activity hub. 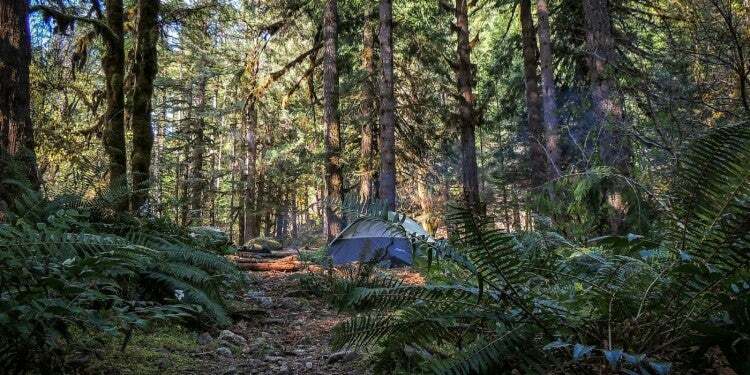 Glorious ocean views abound around the park, while the campground is set in a lush old-growth forest. There are 52 first come, first served electrical sites with water. Although it can be quite windy, the sites stand out from other campgrounds’ because of their privacy. Horse corrals are also available on a first-come, first-served basis. Cabins can be reserved in advance. 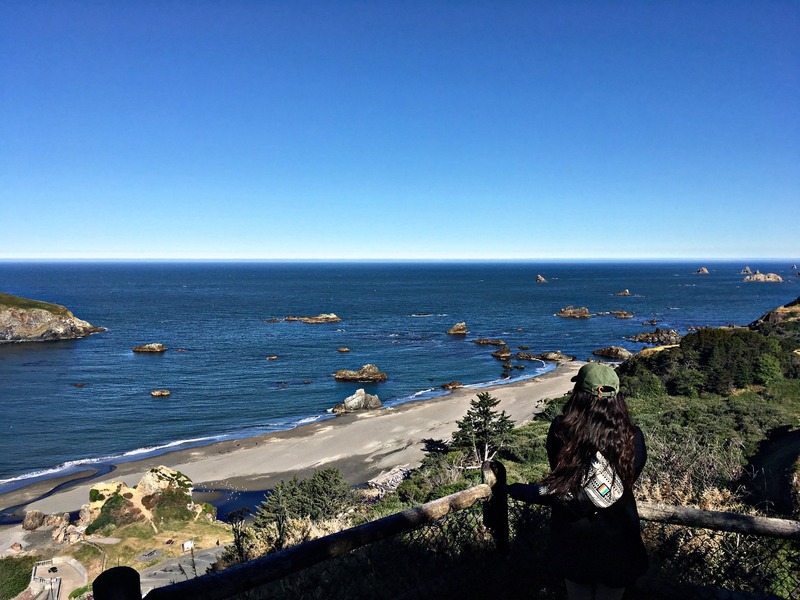 “Cape Blanco State Park is the hidden treasure of the Oregon Coast – maybe of all of Oregon. Each site is secluded with lovely hedges. The hikes through the forests are like taking a walk through a Tolkien novel with hanging moss, giant trees, ferns, mushrooms and meandering trails.” —The Dyrt camper Debbie B. Image from The Dyrt camper Chanel C.
One of the coast’s most scenic state parks, Harris Beach State Park is a fantastic basecamp for whale watching in Oregon. 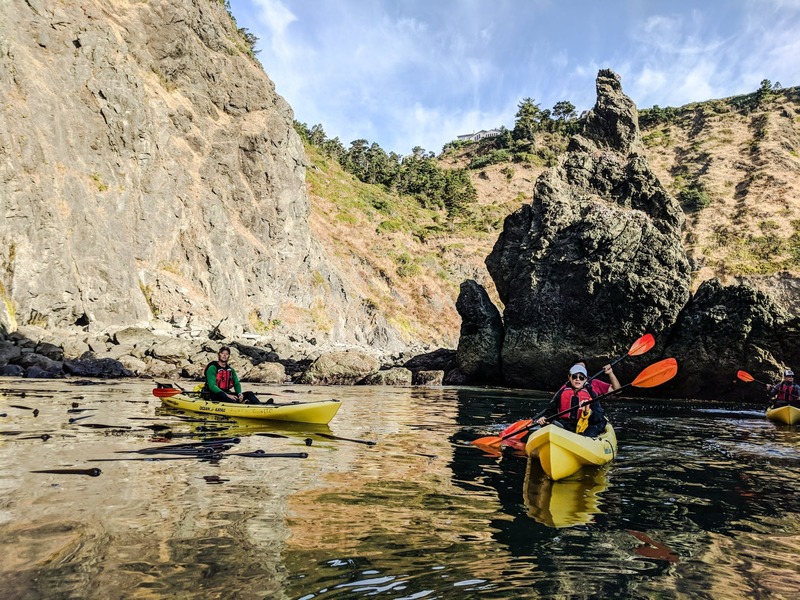 Home to Bird Island—Oregon’s largest island and a National Wildlife Sanctuary—as well as several imposing sea stacks, it offers abundant wildlife viewing opportunities. Gray whales are the stars of the show, but harbor seals, California sea lions and a plethora of sea birds never fail to entertain visitors either. 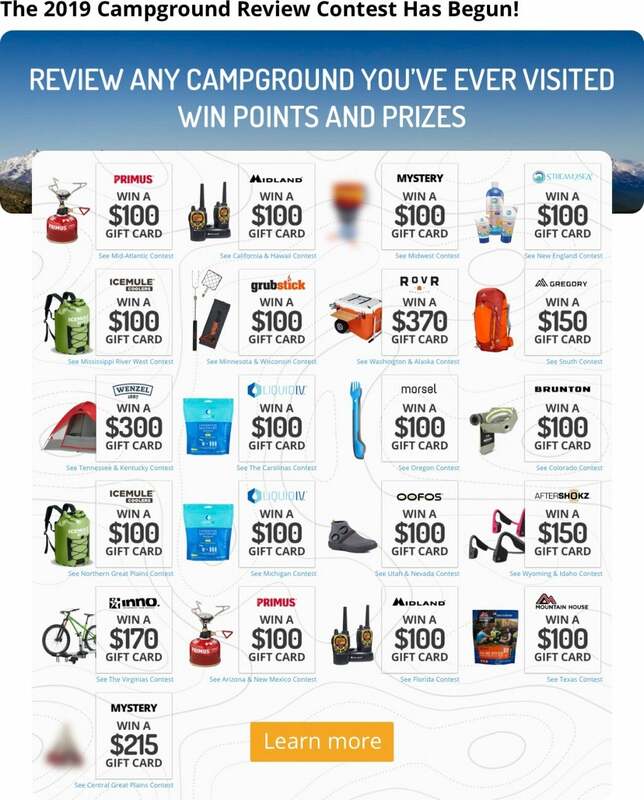 “This campground has many Full hookup sites with plenty of tent sites too. All RV sites are paved with gravel around the picnic table and fire ring. 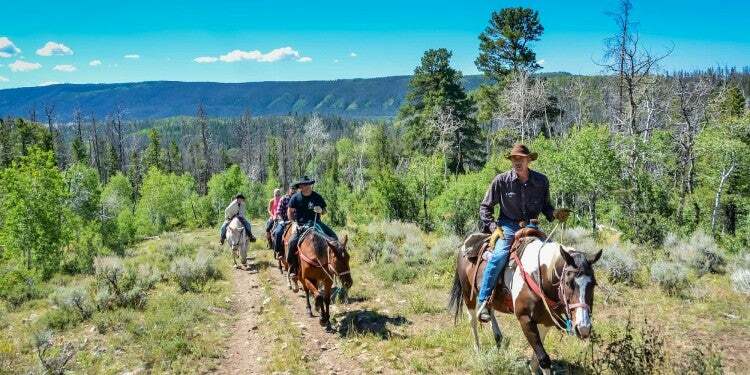 Each loop has its own restrooms and showers which were well kept and very clean… There is an amphitheater with bench seating that ranger talks are hosted pretty much nightly. We attended one and had a great time watching a moving and learning about the local whales that frequent the coastline there.” –The Dyrt camper Kelli B.